The sole female candidate on the Republican side of the 2016 election announced Wednesday that it's over. 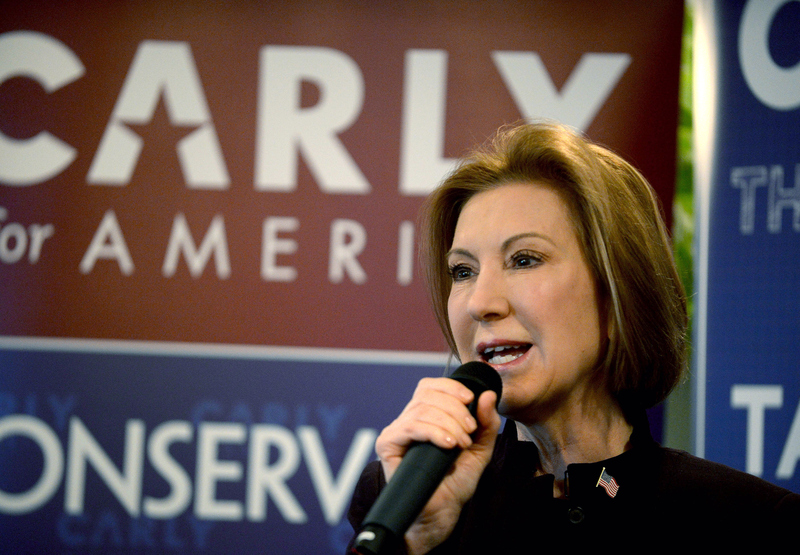 Carly Fiorina is dropping out of the presidential race. On Facebook, she posted that just because she's out for now doesn't mean that she's going to sit and stay silent. While the former HP CEO made a strong statement about what she wants for Americans, she also sent a special message to women about what feminism means to her. Fiorina was one of the several candidates in the Republican primary — alongside current frontrunner Donald Trump and former neurosurgeon Ben Carson — who hold no actual political experience. But she was also one of only two women running for president, along with Democrat Hillary Clinton. Despite Fiorina's problem on the subject of women — getting statistics wrong, her odd fixation on the "gender card," and her tendency to slander Planned Parenthood — her presence as a briefly semi-strong contender on the Republican side was a feminist win overall. After one capable debate performance at one of the so-called kiddie table debates, Fiorina was bumped to prime-time, but the excitement of her surge soon waned. Her numbers began dropping again, and after a poor showing in both the Iowa caucus and the New Hampshire primary, it only made sense for her to call it quits. But hey, at least she left with a message which showed that she might actually get what feminism is all about: a woman being able to live the life she wants. This campaign was always about citizenship — taking back our country from a political class that only serves the big, the powerful, the wealthy, and the well connected. Election after election, the same empty promises are made and the same poll-tested stump speeches are given, but nothing changes. I've said throughout this campaign that I will not sit down and be quiet. I'm not going to start now. While I suspend my candidacy today, I will continue to travel this country and fight for those Americans who refuse to settle for the way things are and a status quo that no longer works for them. America needs women of all political preferences to see that they too can be leaders, as she so aptly put it. And though she probably wouldn't have been the best president for women, it's because of what she represented that it's a little sad to see Fiorina go.